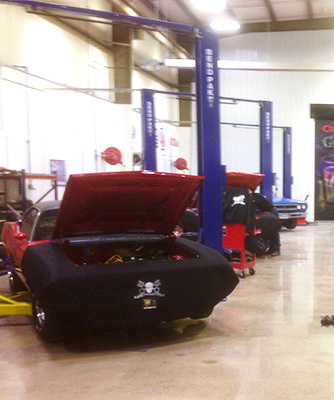 Bob’s Original™ Fender Covers has hit it off with the guys from Graveyard Carz. 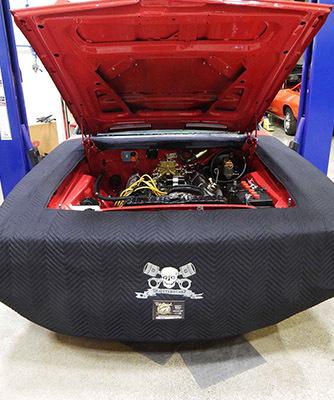 Starting in Season 4B, Mark Worman and his team have been using Bob’s covers on their show to protect the paint that they so carefully restore on their Mopars. You can watch Graveyard Carz on Velocity TV. In 2015, Bob got to visit the shop where the magic happens. At the time, the team was working on two different Plymouth Barracudas. In case you didn’t know, Graveyard Carz is a show about Mopar restoration. 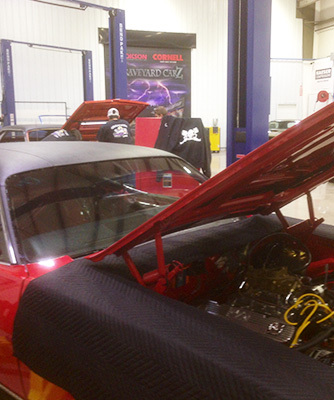 These guys restore classic Mopar cars down to the absolute minutest detail. From the front to the back, even the manufacturer’s stickers are in place on these amazing works of art. Their goal is to recreate exactly what would have rolled off the assembly line when the car was originally produced, so they use manufacture notes, pictures, and any information they can find to piece the cars together. Nobody restores cars like Graveyard Carz. The team that works together on these cars is made up of family and friends and they are hilarious to watch work together. The show has been on Velocity TV since 2012, and they are currently working on another season! Bob designs a custom-fit Bob’s Original™ Fender Cover for their cars. Get your own custom fender cover for your car. If I ordered a Premium cover for my ’70 Super Bee, could you include the “Graveyard Carz” logo on the front? I ask because they are restoring my car for me now so I’d like to have something as a momento from them. Hi Giovanni, we will have one of our customer service team email you! We have done custom embroidery before for customers.